Well, this was a test; and how quickly it came to a close as well. Perhaps, not a final closure but let us take this as an interim status report. I had an experience on a flight from Oslo this week and wanted to let Lufthansa know about it. So, I posted it on Facebook as many others do and hoped for a reply. It came within 20 minutes and was not the one I was expecting. I had posted the following comment on their Facebook page and captured it as I was not sure how this would play out. Basically, I was just complaining about the thinness of the seats on a recent flight and how unpleasant it was for me as my fellow passenger with longs legs behind me kept kicking me with his knees into my kidneys. Seems this was just too much for the Lufthansa Facebook team. And there was no post on my page informing me of the deletion or a reply. Just gone. Did I go to far? So, is this good practice? Do you think companies should be deleting posts when they are unpleasant? 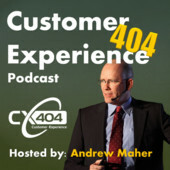 At what point is deleting entries a good idea? Appears to me that Lufthansa is trying to control the social web here. Lessons can be told how that does not work well. Post you comments here as well as your experiences with airlines, both good and bad. This will be continued. Next stop is this post, twitter and of course the email to customer relations from Lufthansa. Updates will be posted here. 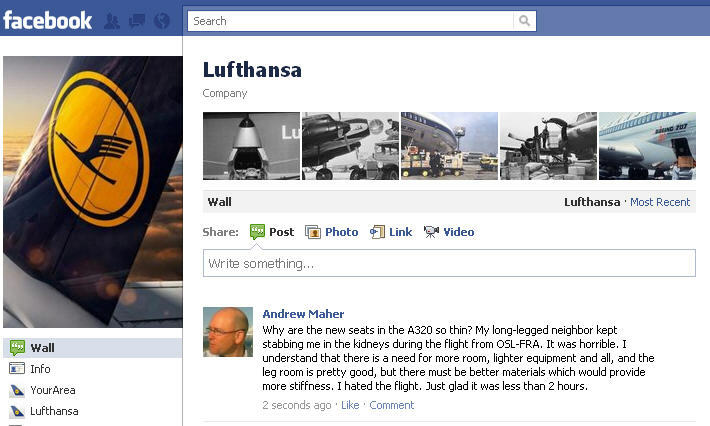 One Response to Lufthansa and Facebook – good combination? They deleted your post ?? This is just stupid! Keep us updated, would love you read the followup answers (if you get any). This remind me of “United Breaks Guitars” story. I though airlines had learned from this..
And you did not get to far, this was well written in a normal opinion.